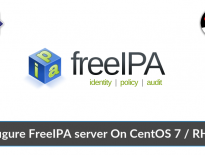 In our previous article, we set up OpenLDAP server on CentOS 7 / RHEL 7 for centralized authentication. In continuation to that, we will now configure OpenLDAP with SSL for secure communication. In this setup, LDAP clients communications happen over secure port 636 instead of nonsecure port 389. Follow this guide to configure OpenLDAP with SSL. 2. Make an host entry of LDAP server on your client machines in /etc/hosts for name resolution. If you plan to use the hostname instead of IP address, then Configure DNS Server on CentOS 7 / RHEL 7 to have hostname resolution. If you are planning to use LDAP over SSL, you can follow any of the below methods to implement it. 1. Self-signed certificate – It is a simple self-signed certificate. LDAP clients need to have tls_reqcert allow in /etc/nslcd.conf to not to validate the certificate. 2. CA-signed certificate – Your internal CA or external CA sign certificates. You should place the CA certificate that signed your LDAP server certificate in /etc/openldap/cacerts/ directory so that LDAP clients can validate certificates. 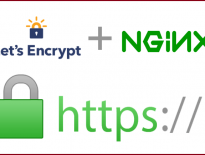 Let’s create a self-signed certificate for our LDAP server. The below command generates both certificate and private key in /etc/openldap/certs/ directory. Set the owner and group permissions. Verify the created LDAP certificate under /etc/openldap/certs/ directory. Create certs.ldif file to configure LDAP to use secure communication using a self-signed certificate. Import the configurations to LDAP server. You should get the following message on successful verification. Create the root key using the following command. Now, create the self-signed root certificate. Create a private key for LDAP server. One you have the private key, create a certificate signing request. Make sure the common name matches your LDAP server hostname or IP Address. Now, sign a certificate signing request using the custom root CA. Edit the /etc/sysconfig/slapd file and configure OpenLDAP to listen over SSL. Verify the LDAP service. LDAP service should now be listening on TCP port 636 as well. Add the LDAPS service to the firewall (TCP 686). Install the client packages using the yum command. Execute the authconfig command to add a client machine to LDAP server for single sign-on. Replace “server.itzgeek.local” with your LDAP server’s IP address or hostname. You would need to perform the below steps based on the method you have configured OpenLDAP to use SSL. Add the following line in the nslcd.conf file. The below setting will disable the certificate validation done by clients as we are using a self-signed certificate. Copy the itzgeekrootCA.pem from LDAP server or place the intermediate certificate or CA provided by external CA in the /etc/openldap/cacerts directory. Create the c hash of the CA certificate. Now, symlink the rootCA.pem to the shown 8 digit hex number. Restart the LDAP client service. Use getent command to get the LDAP entries from the LDAP server. To verify the LDAP, log in using the LDAP user “raj” on the client machine.